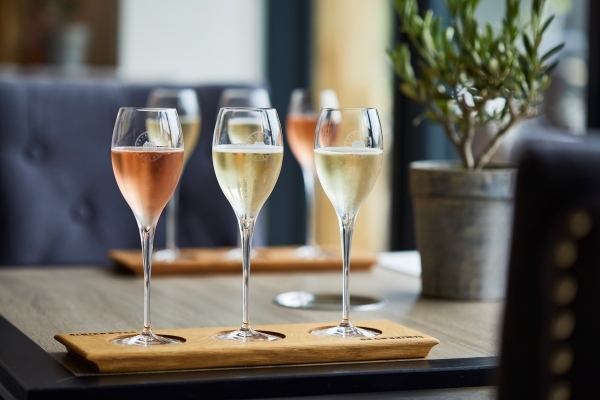 Set in the Kent Downs, in its own stunning 2,500-acre estate, Squerryes Winery is the perfect place for wine-enthusiasts – or those, like me, who know nothing about wine but love the taste – to delight in all kinds of grape experiences. Once you’ve taken your tour of the Pilgrim’s Way vineyard, walked the vines and learnt what makes their terroir unique, you can stock up on the latest vintage in the shop. You can even pop into Squerryes Court, the Warde’s family home, to meet Henry or Claire Warde themselves and learn about their family history. 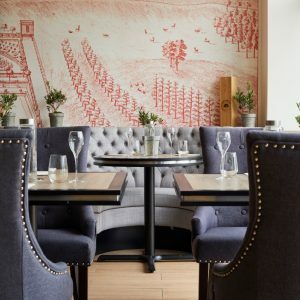 Leaving the best ’til last, there’s a tutored tasting with plenty of time to sit, relax, and enjoy four of their most exclusive vintages paired with toothsome cheeses and charcuterie. 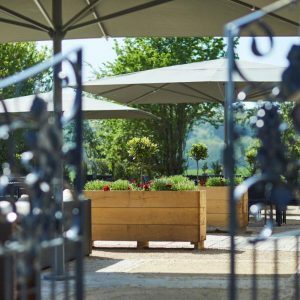 This summer there’s more, a newly built, super stylish, terrace makes the most of those breathtaking vineyard views with delectable seafood tapas and Sunday brunch menus. Located in the north of Kent, the gateway to the Garden of England, you can travel down from London to Oxted station (a mere 40 mins by train then 5 mins taxi) or Sevenoaks station (30mins by train and 10 mins by taxi) and treat yourself to the full Squerryes experience by which we mean sampling a bit of everything because a) you’re not driving and b) Squerryes Sparkling Wine tastes soooo good you’re going to want to try it all! 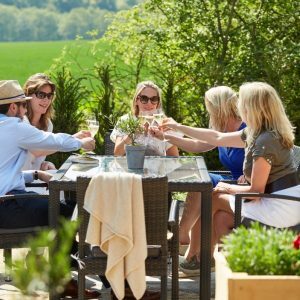 You can even go member-cool and scoop up their membership package which guarantees you invites to exclusive events, the chance to host your very own private party at Squerryes Court and gives you 15% discount on all your wine orders (you listening, Mr Muddy?! ).